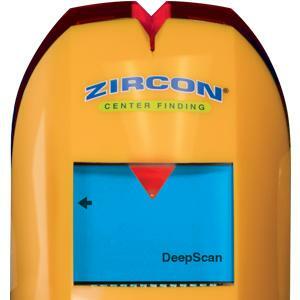 Zircon's mission is to provide accurate, affordable, and easy-to-use scanning and detecting solutions for DIYers and professional contractors alike. Zircon's team of Tool Pro Experts provide superior customer service. We know the ins and outs about tools, construction, and the challenges that DIYers and professionals face. Rest assured, at Zircon you can reach live, knowledgeable, honest people who want to work with you. Zircon also provides users and merchants unparalleled support via an online 24/7 interactive support center, step-by-step instructions, how-to videos, and online engagement. Visit our website today. 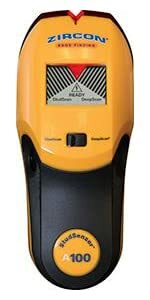 The SS A150 is a handheld tool dedicated to quickly and efficiently find studs and alert you of live AC wiring. The A150 comes equipped with 2 scanning modes: StudScan and DeepScan. 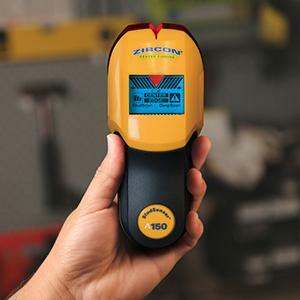 The Zircon StudSensor A150 makes scanning easy with its newly designed ergonomic grip. The tool's StudScan finds shallower wood or metal studs up to 0.75 in. (19 mm) deep. Simply press the Power Button twice to double the scanning depth to 1.5 in. (38 mm) in DeepScan Mode. The A150 also includes WireWarning Detection that automatically operates in StudScan and DeepScan Modes. 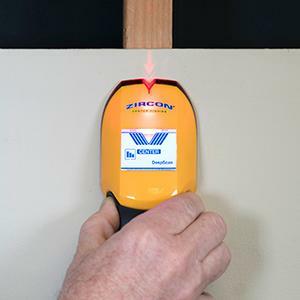 This safety feature alerts you to the presence of live, unshielded electrical AC wires while scanning for studs. Before use, always be sure to install a brand new 9V alkaline battery. 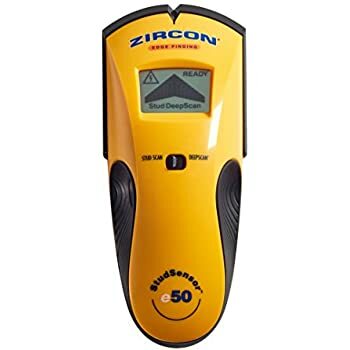 Zircon stud finders, particularly those with LCD screens, require and consume a great deal of current from batteries. For optimal performance, brand-new, recently purchased alkaline batteries with an extended expiration date, are strongly recommended for use in these tools. Use StudScan Mode to find the center, edges, and direction of wood or metal studs up to 0.75 in. (19 mm) deep. For best results, always start in StudScan Mode when looking for studs. If StudScan Mode provides irregular readings, or the Signal Strength Indicator is weak, the studs might be behind deeper than 0.75 in. (19 mm). Quickly press the Power Button twice and hold it down after the second press to switch to DeepScan Mode. This doubles the scanning depth to 1.5 in. (38 mm) deep and allows for increased accuracy on deeper targets. Before scanning, hold the A150 flat against wall and press the Power Button to calibrate. Be sure not to move the tool while calibrating. After a short beep sounds confirming calibration is complete, continue pressing the Power Button and slide the tool slowly against the surface. When the A150 finds the edges and center of a stud, 'Edge' and 'Center' displays respectively, indicating you have found your target. When the stud's center is located, the SpotLite Pointer also illuminates and a short beep sounds. The center of the stud is the stud's most secure location. It is critical to drill in the center of a stud when mounting heavy objects. Note: WireWarning Detection works in both StudScan and DeepScan Modes. The WireWarning Detection Icon will flash when live, unshielded wires are detected. Be Alerted of Electrical Wires in Both Modes. WireWarning Detection is a feature that is always on while scanning in StudScan and DeepScan Scan Modes. It alerts you to the presence of live, unshielded, electrical AC wires up to 2 inches (50 cm) deep. As you approach an area with live AC voltage, a lightning bolt icon will display on the LCD screen. This the WireWarning Detection Icon. If your scan directly starts over an area with live AC voltage, the WireWarning Detection Icon will flash. Note: Please turn off the electricity and use extreme caution in areas where live AC voltage is detected before nailing or drilling. Automatically Have Common Errors Corrected. This feature enables the tool to automatically adjust for common calibration errors. It checks calibration 10 times per second and automatically recalibrates when/if needed. If scanning begins directly over a stud, the tool will transparently recalibrate, so you don't have to, and will find that stud when you scan back over it. This recalibration is usually transparent and no indication is made. If an arrow icon illuminates, the tool was calibrated near or over a stud and then moved away. The arrow indicates the direction of the missed stud. The installation of a fresh battery with an extended expiration date is required to steadily power the integrated LCD screen in Zircon tools. Question: Does the StudSensor A150 include a battery? Answer: No. 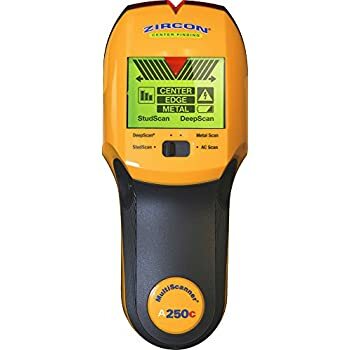 Zircon stud finders and detectors, particularly those with LCD screens, require and consume a great deal of current from batteries. 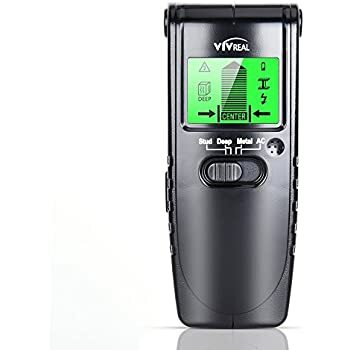 For optimal performance, a brand-new, recently purchased 9V alkaline battery with an extended expiration date, is not included but is required to properly power the A150. Question: I inserted a 9V battery, but the tool doesn't turn on or is giving me strange readings. Is my tool broken? Answer: Please be sure to use a fresh, brand new 9V alkaline battery with an extended expiration date. Batteries that may work in a smoke detector or remote control may not have adequate voltage to power the sensing technology in StudSensors. Question: Does this tool need to be calibrated? Answer: Yes, as with all Zircon tools, the StudSensor A150 needs to calibrate to the surface before scanning. 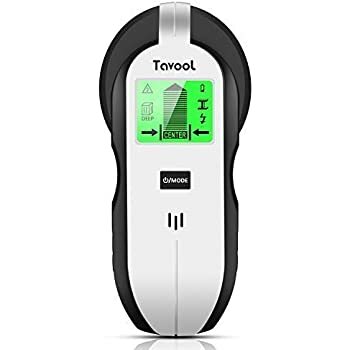 Calibrating the tool on an empty wall gives the device a chance to measure the wall thickness and material density, as well as register factors like humidity, temperature, and even the minor electric readings from your hand, which all have an impact on the readings from the wall. Calibrating is easy and just takes a second. To calibrate, simply place the unit flat against the surface to be scanned and press the Power Button. When powering the A150 on, all the icons on the screen and the SpotLite Pointing System will briefly flash and the tool will beep. After this occurs, the screen will then clear and, depending on the selected mode, the words 'StudScan' or 'DeepScan' will remain, indicating that calibration has occurred and the tool is ready to begin scanning. It is important not to move the tool or begin scanning until the calibration process has taken place for the most accurate results. Question: What does 'Center Finding' mean? Answer: Center Finding stud finders locate both the edges AND the center of wood and metal studs and joists in one step. 'Edge Finding' stud finders, on the other hand, only find the edges of studs, so you must determine the center. Finding the center of the stud to mount heavy objects is critical as the stud's center is the most secure location of the stud. Question: What is DeepScan Mode? Answer: Unlike StudScan Mode, which scans through one layer of drywall up to 0.75 in. thick (19 mm), DeepScan Mode scans through 2 layers of drywall up to 1.5 in. (38 mm) deep. DeepScan Mode is a higher sensitivity scanning mode that should be used when there are extra layers of wallboard or paneling. Extra layers in a wall can make it difficult to find studs in regular StudScan Mode. To minimize false positives and/or finding other objects further behind the wall that may not be a stud, always start your scan in StudScan Mode first. Question: How can I be certain the objects found behind my wall are studs in DeepScan Mode? Answer: DeepScan Mode has increased sensitivity so you may have located something other than a stud. Studs are equally spaced to either side (12, 16, or 24 in. apart) and typically run from floor to ceiling. To better confirm that what you found is a stud, check for other studs equally spaced to either side and for the same stud at several heights directly above and below the first stud indication. A stud reading would also measure approximately 1.5 in. (38 mm) apart from each edge. Anything larger or smaller may not be a stud if not near a door or window. 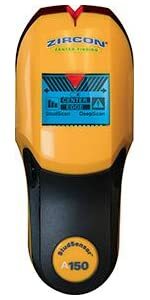 Question: Will this StudSensor A150 locate metal studs? Answer: Yes, the A150 will locate metal studs in StudScan and DeepScan Modes. Since stud finders are looking for a change in density behind drywall, not a particular material, in StudScan and DeepScan Modes the detector will react to metal studs the same as it would for wooden studs. The A150 will locate wood and metal studs up to 0.75 in. (19 mm) deep while DeepScan Mode locates targets up to 1.5 in. (38 mm) deep. Question: Why does the tool beep and the lights flash when scanning for a stud? 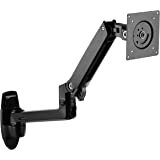 Answer: The tool could've been calibrated over a stud, calibrated on a dense part of the wall, or the back of the unit may have slightly lifted or tilted during the scan. Move the StudSensor A150 over a couple of inches to the left or right, re-calibrate, and start your scan again. Question: What is WireWarning Detection? Answer: WireWarning Detection is a feature that is always on while you are scanning in StudScan and DeepScan Modes to alert you to the presence of live, unshielded, electrical AC wires up to 2 in. (50 mm) deep. As you approach an area with live AC voltage, a lightning bolt icon will display on the LCD screen. This is the WireWarning Detection Icon. If your scan directly starts over an area with live AC voltage, this icon will flash. Please turn off the electricity and use extreme caution in areas where live ac voltage is detected before nailing or drilling. Question: Why does the area of voltage appear much larger than an actual wire? Answer: Static charge may develop on drywall, spreading voltage detection as much as 12 in. (30 cm) laterally from each side of an actual wire. To narrow detection, turn the tool off and on again at the edge of where the wire was first detected and repeat the scan. Question: I suspect electrical wires in a certain area when I scan, but why am I not detecting any? Answer: Wires may be shielded in metal conduit or behind a metallic wall covering. It could also be that the wire is deeper than 2 in. (50 mm) or that the wire may not be live (hot). Always exercise extreme caution when working near electricity. Question: Does the A150 work on wood paneling and other wood surfaces? Answer: The A150 is optimized to scan through standard interior sheetrock / drywall (gypsum) construction. 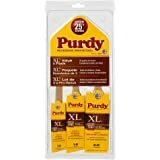 This tool will work on wood, plywood, wood paneling and particle board up to 1.5 in. (38 mm) thick when in DeepScan Mode. Question: Will the A150 work on textured wall surfaces, acoustic ceilings, or wallpaper? Answer: Yes, the A150 will work on textured surfaces and dried wallpaper as long as it does not contain any metallic foil or fibers. For highly textured walls or acoustic ceilings, place or tape a thin piece of cardboard onto the surface to be scanned. Recalibrate and scan over the cardboard in DeepScan Mode. Question: Can I use this tool to find studs behind carpet? Answer: No. 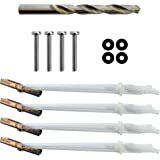 Zircon tools are designed for hollow interior walls. They will generally work well to find studs or joists through a plywood subfloor, after the carpeting/flooring has been removed. Question: Will the A150 work on ceramic tile? Answer: While the StudSensor A150 may be able to scan through ceramic tile in DeepScan mode to locate studs, the many variable layers behind tiled surfaces make it one of the more difficult scanning environments. Question: Does this StudSensor work on lath and plaster? Answer: No. 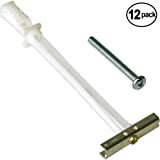 Due to irregularities in plaster thickness, this tool is not recommended for use on lath and plaster. Question: What does the Signal Strength Indicator do? Answer: To help you filter out the target from potential decoys that would give the A150 a false reading, the Signal Strength Indicator gives a reading of the strength, or the certainty, of the returning signal from the wall. Three bars (the highest level) indicates an obvious result behind a normal wall, while two bars (or below) indicates that while the device has found something, it may either be a smaller object than your target, or the target is behind an extra thick wall. Since every wall is built differently, and since any wall can have pipes, wires, or other objects behind it that can return a result, you can use the Signal Strength Indicator to 'map out' your wall to determine the target from the other objects. 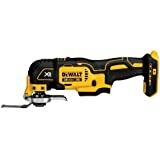 Question: Can I use this tool to scan the outside wall of my house? Answer: No. Zircon StudSensors are designed and recommended for interior use only. 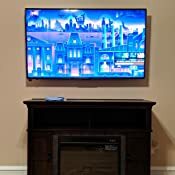 Question: I'm planning to mount my new flat screen TV to the wall. 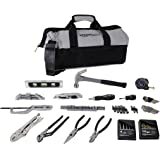 Will this tool help me? Answer: Yes. The A150 is ideal for basic home or office projects. 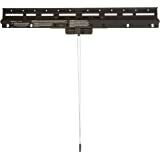 The center-finding technology allows you to easily find and mark the center of the stud for secure mounting of TV's and AV equipment, closet or garage shelving, heavy mirrors, light fixtures, coat racks and more. Question: Is the tool waterproof? Answer: No. The StudSensor A150 is splash and water resistant, but not waterproof. Question: What is the difference between magnetic and electronic stud finders? Answer: Magnetic stud finders are simply magnets that look for anything magnetic behind a wall. Typically, they are advertised to find screws or nails that hold the wall surface to the studs. However, nails often times are not placed in the center of studs, making it difficult to determine where the stud's center is or how wide the stud is. 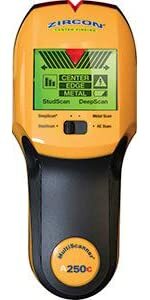 Electronic stud finders, such as the A150, on the other hand, operate by detecting density changes behind a surface (like a wall) and will clearly and precisely indicate the edges and center of a stud. The center of a stud is the most secure location when mounting anything heavy. 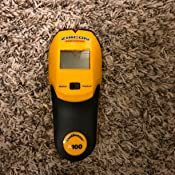 For applications like mapping out floor joists, electronic stud finders have an advantage over magnets because they are not attracted to nails holding floor boards to a subfloor, as well as nails in joists. Question: Does the StudSensor A150 come with a warranty? Answer: The StudSensor A150 includes limited one year warranty when fulfilled by and shipped from Amazon. Question: Where can I get help using my StudSensor A150? 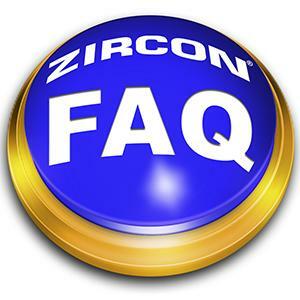 Answer: Zircon's team of Tool Pro Experts provide superior customer service. They know the ins and outs about tools, construction, and the challenges that DIYers and professionals face. Rest assured, at Zircon you can reach live, knowledgeable, honest people who want to work with you. Zircon also provides support via an online 24/7 interactive support center, step-by-step instructions, how-to videos, and online engagement. Visit Zircon's website today. The StudSensor A150 is Zircon’s newest center locating electronic stud finder that is sold exclusively on Amazon. The A150 is designed with a smooth, ergonomic rubber grip allowing for a comfortable yet secure hold for any size hand, at any angle. 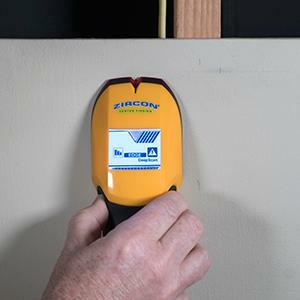 This stud finder uses the most recent technology in density detecting software and circuitry. 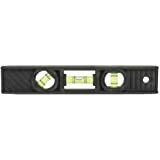 The scanner has 2 scanning modes to locate the center and edges of wood and metal studs and joists behind walls, floors, and in ceilings up to 1.5 inches (38 mm) deep. In StudScan Mode, the SS A150 locates the center and edges of shallower wood or metal studs up to 0.75 of an inch (19 mm) deep. Switch over to DeepScan Mode to double the scanning depth to 1.5 inches (38 mm). This stud sensor is programmed with a Wire Warning Detection feature that indicates the presence of live unshielded electrical wires up to 2 inches (50 mm) deep when using either stud scanning modes. Finding studs using this center and edge finding tool is simple. To get started, install one brand new 9V alkaline battery (not included). Place the unit flat against the wall and press the Power Button to calibrate the sensor. Once you hear a beep indicating calibration is complete, continue to hold the Power Button and slowly slide the tool across the surface. The Signal Strength Bars will appear on the LCD screen when a stud is detected. As the stud finder detects the edge of a stud, “EDGE” will appear in the LCD screen. Continue to slide the tool along the wall until you hear an audio tone and see both the patented arrow-shaped SpotLite Pointer as well as “CENTER” on the LCD. These signs indicate the center of the stud has been found. Make sure to note whether the Wire Warning Detection is alerting you to live, unshielded AC wiring before drilling into the center of the stud. 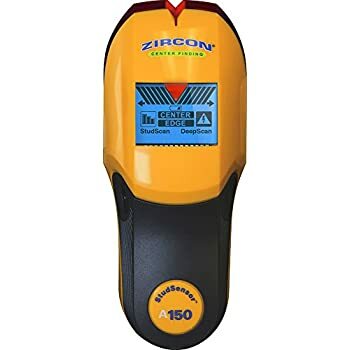 With the Zircon StudSensor A150, you can safely maneuver through the most complicated of projects with the professional confidence that comes from owning a Zircon. As a professional contractor, I recently started installing allot of basic crown molding. I have been using an old Zircon L50, which is about as basic a unit as you can buy. I scanned my current job first with the L50 and then to be sure that I didn't miss any studs in the boxed in hall areas, went over the same areas with the new A200 unit. The old L50 did a better job at half the price. 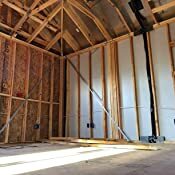 I'm looking for a unit that will scan in difficult areas; columns, boxed in areas in hallways, boxed in ceiling beams that will give me a true reading of where the studs actually are. If you have ever put an 18 gauge finishing nail through a PEX pipe inside a wall, you get gun-shy real quick. Zircon, concentrate on making a quality, high end professional unit vs. 20 units that all do about the same thing. I will be returning this unit. My walls are painted with a texture coating, so the device doesn't slide smoothly. Even with a new (good till 2023) 9V battery, neither setting seems to be able find a stud (nor AC wires). 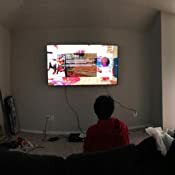 After purchasing a 49" TV for the living room, I was hoping to mount a 32" TV in the bedroom. Got a can of spackle and a putty knife, so I guess I'll start drilling holes. 5.0 out of 5 starsEDGE FINDER, The tool will find the edge, you will find the center. The most important thing to realize is this finds the EDGE, not the center, THE EDGE. The second most important thing; hold the finder parallel to the studs you're looking to find the edges of. This will typically mean vertically for wall studs. As the directions state, sweep from both sides and find the edges from each side, the center point between the 2 marks will be the best place to drill. Check the distance between the two marks to ensure it logically fits the width of a wall stud and then also find 2 other studs and check the distance apart. Each stud should be the same width and each should typically be the same distance from the others. The A100 model worked really well for me. This week I had to mount several "L" brkts as a safety for 5 ea 6' tall bookshelves. I used both my magnetic nail finder and the A100. The readings that both gave were in agreement except in one location where there just had to be a stud, but I couldn't find any nails. Once I received the A100 Zircon, it found the elusive stud in no time. Every hole I made found a solid footing into a stud. I'm convinced of the Zircon's value. I also really like that it located electrical wiring. I think i should have spent more and got something better. It works on some walls and on some it doesn't the ones with thick paint or the stud being a little away from the wall, even the deep scan doesn't works well. 1.0 out of 5 starsVery inaccurate! 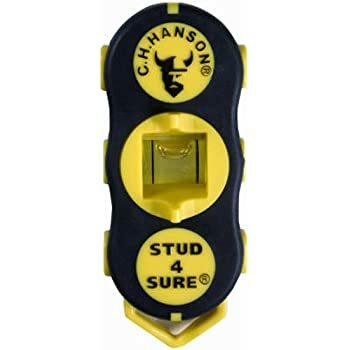 The worst stud finder I've ever used! It detects studs where there are none, doesn't detect studs where there are! 1.0 out of 5 starsWASTE OF MONEY!!! Being a contractor for 25 years I know how to calibrate a stud sensor... this is the biggest piece of junk I’ve ever bought!!! I wished I could get my money back!!! 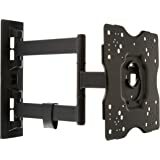 I purchased this to install a TV wall mount. This seems to do the job okay. I needed to do several passes to identify a stud - basically took an average. I wonder if a more expensive model would offer more consistent results? Even so, this should suffice for basic do-it-yourself projects.